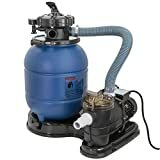 Whether it is for the maintenance of a residential pool or a commercial pool, installing a pool pump is highly essential. Your time in the pool is only enjoyable if the pool's cleanliness is maintained. 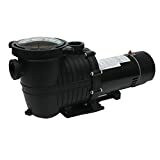 Choosing a pool pump that is best-suited for your pool needs a little research. 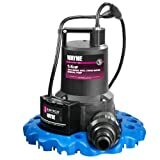 So, after going through thousands of pool pump reviews on the Internet, we offer you a guide in aiding you to choose the best pool pump. 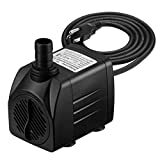 What should you consider when buying a pool pump? 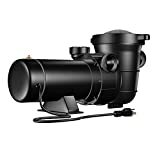 Check energy efficiency: Select the pool pump that has an energy saving capacity of up to 90%. 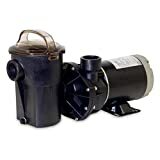 Conserving energy is every man’s duty, so why not get a more efficient pool pump? Opt for variable speed: Choose a variable speed pump instead of a single- or dual-speed pump. 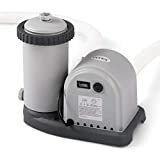 A variable speed pump uses a permanent magnet motor, and it helps you set the flow rate at any speed of your choice. 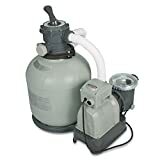 Check the horsepower: Look for a pool pump that has a strength that is adequate for the size of your swimming pool as well as your filter system. Explore mount options: Choose between a top-mount pump and a side-mount pump. Also, in-ground and above-ground pools have different pumps. Thus, it would be wise to select the one that is suitable for the design of your pool. Check voltage: Determine whether the voltage on the pump is 110 volts or 220 volts. The pump can be hard-wired into the electricity, or it may also require an outlet for you to plug it in. Usually, the above-ground pool needs a 110 V pump—therefore, choose accordingly.